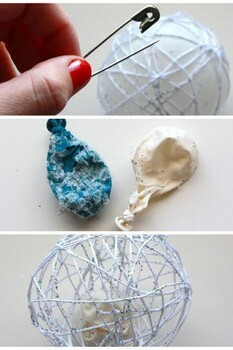 Staying with our ornament theme - here is a great DIY ornament from just string and balloons! Holidash has more great DIYs so check them out! 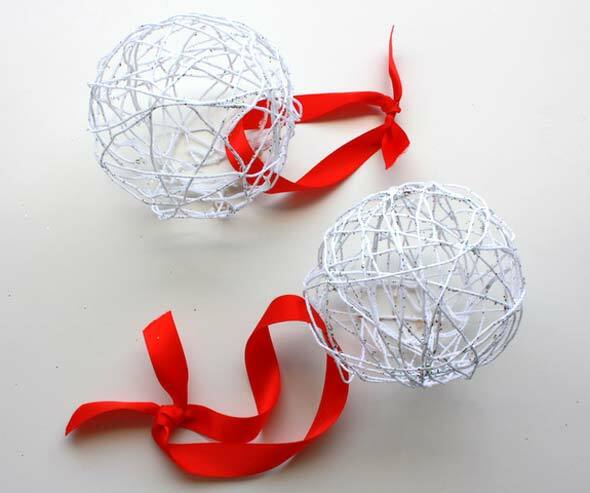 My favorite homemade ornaments are made with balloons and string; they evoke a bit of yesteryear charm and they certainly won't break the bank. Take your basic package of balloons (you don't want weird shapes here, unless you want weird shaped ornaments)and blow them up to around the size of your palm. Set these off to the side and don't let any small children or animals have them; they're not just hazardous, they make obnoxious toys. Now measure around the width and the length of the balloons with your string to see what lengths you need to cut to fully cover the balloon. I recommend cutting a little longer than you think you'll need. 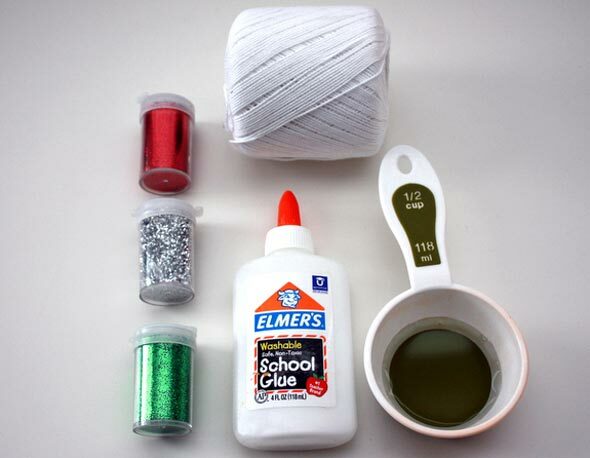 Once you have a whole slew of string cut, you're ready to mix your glue. Mix together two parts water to one part glue in a bowl until completely combined. Use warm water or your glue will harden when you mix. Now add in your glitter. The glitter will get really diluted with the glue and barely show up, so if you want a lot, now's the time to get crazy with your glitter. Once your glue and glitter are all mixed up it's time to start dipping! Get excited. Soak one string at a time in the glue mixture. Let the string get completely soaked with glue before removing. Lay the string carefully across the balloon, making sure it meets the other end of the string on the opposite side. 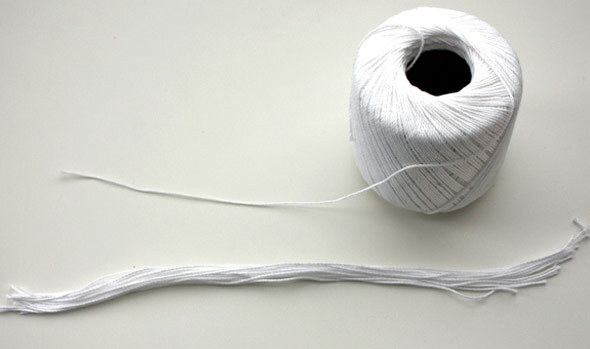 Pinch the two ends of the string together, set the balloon down on your waxed paper, and repeat with string #2. Repeat this until your balloon is completely covered in glued strings. Make sure your pattern doesn't all go one way or another or it will all slide off when the strings dry. I might have done the hard investigative work for you on that one. AHEM. Once your balloon is all glued up to your satisfaction, set it the waxed paper and let it dry for 24 hours. 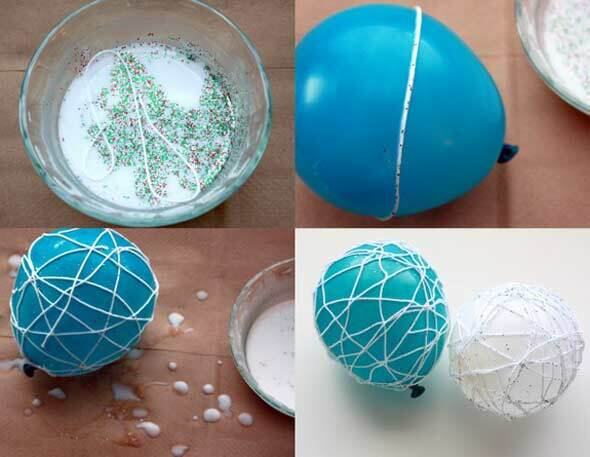 Do this to as many balloons as you want for ornaments. Go really crazy here, these are cheap. When your balloons are dry, it's time to pop your balloons. You're going to pull these out of the balloon (very, very carefully) so no one knows they were even there. It'll be our little secret. Tie on a ribbon to hang the ornament, and you're done. So cute and easy.